... for choosing Dream Dogs Professional Dog Training! Thank you for joining us at Dream Dogs! You and your dog were superstars! We do our best to catch both of you in motion and on graduation day to show off amazing new skills. The Boxer image is a link to Flicker albums put together by Dream Dogs. 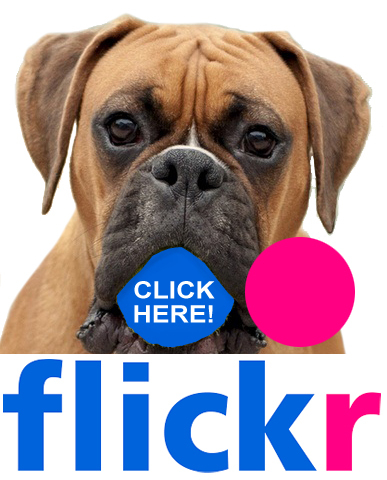 When you click on the link, it will take you to our Flickr Albums. Just look for your class by name and starting date. Once you find the class album, just click on the photos you would like to download. We hope that there was a great image of you and your best fur friend captured in action! Thank you for taking one of our classes! We look forward to seeing you both at the training center soon! Your image is now in your browser's download folder on your computer.